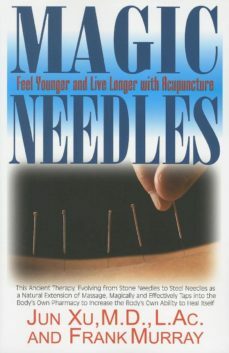 Frank Murray opens the narrative with a history of acupuncture, then co-author Dr. Jun Xu explains how acupunctures "magic needles" release a natural energy that can alleviate even longstanding health conditions - including asthma, bronchitis, substance abuse, headaches, and hypertension. He continues with a discussion of how acupuncture works, what conditions are most responsive to it, and which treatments are approved by physicians and health organziations. Case histories, tips for practitioners, a glossary of terms, and a reference section is included.